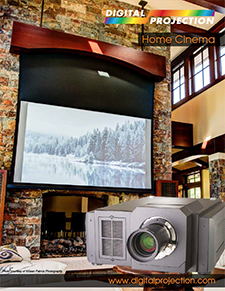 When it comes to home theater AV, many homeowners need a lot of direction. The integrator needs to pick out equipment, explain why it’s necessary, and even sometimes “sell” the client on its usefulness and price. That was far from the case with this homeowner. While most go to the nth degree building a dedicated home theater, the homeowner of this 12,000-square-foot house wanted something bigger, and more intimate. “If there are special events, like you want to watch the Super Bowl, movies that are still only in the theaters, or the premiere of Game of Thrones, it would be nice to have a venue where you can have a dozen or so friends over and watch something together,” said the homeowner. The grand home theater is located in the great room of the open-plan main floor with massive glass walls (without shades), 25-feet high ceiling and a floor to ceiling slab stone fireplace. 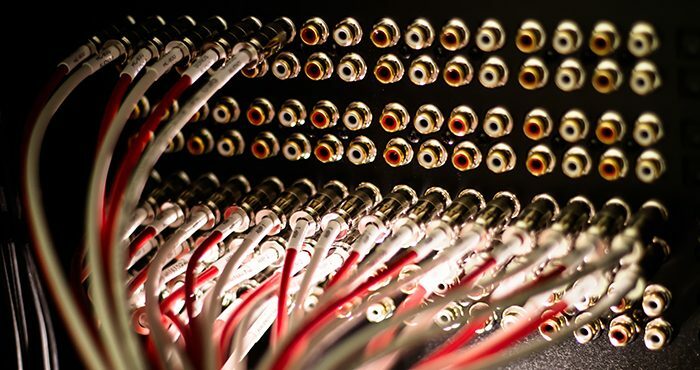 He knew what he wanted, but needed help making it a reality, so he called in Brandon Smith Audio Design, an integrator based out of Scotts Valley, CA. The homeowner was a stickler for ensuring the cabinet for the projector, the housing for screen and speakers blended in with and met the high standards of the existing architectural elements. While intimately involved in all aspects, he credits the success of the final room to the co-design and integration between Brandon Smith Audio Design, Heather Harrington Design and cabinet maker, Wood Classics. “Not only for how the screen looks in comparison to the rest of the house architecture, but the actual design of the cabinet so it could house the 4K projector, which by no means is a tiny thing—it is kind of giant—that looks like something that belongs in the house, looks very nice, is unobtrusive, and has all the air-handling, baffling, and sound-deadening so when that thing is going crazy you don’t really hear it in the room,” said the homeowner. “The integration of the speakers and the vibration isolation for these subwoofers—all of that was just pulled off very, very well.” Cabinetry was also designed to house the speakers on either side of the fireplace. 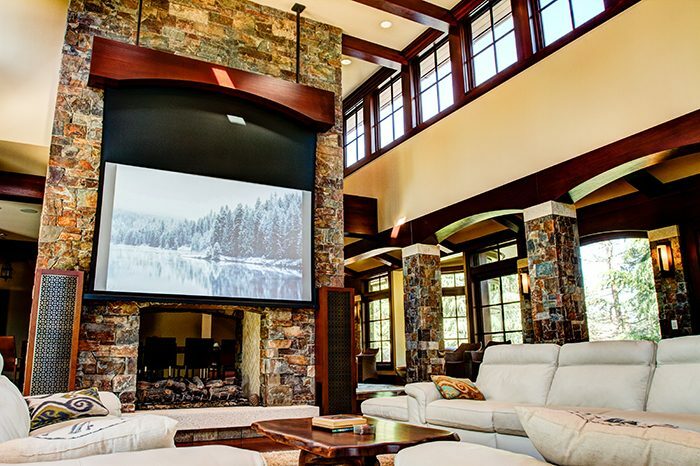 And when not in use, mounted to the stone fireplace a motorized 114-inch Screen Innovations Slate projection screen hides behind an enclosure designed to complement the wooden arches found throughout the home. To match the eye-popping image, Smith put together a killer sound system for the room, with Dolby Atmos decoding and Genelec in-ceiling speakers for a truly immersive experience. It even has a Datasat processor, which is something that’s typically reserved for large professional venues. “The way it works is wherever the speakers are, you go through the calibration and it takes the audio input—whether it’s Dolby Atmos or pick your favorite encoding technology—and renders it for the speakers as they’re configured. That to me was a big selling point.” However, there is one part of the sound setup that the homeowner loves the most. “The subwoofers are probably the coolest feature ever. They literally will shake the couch in front of it,” the homeowner said. 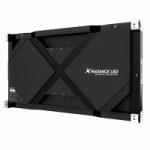 Because the INSIGHT 4K LASER was one of the first 4K laser projectors on the market, and one of the first units to ship, having support from Digital Projection was crucial to the project. Smith cites the Digital Projection’s Concierge Service as being instrumental, since it provided support from beginning to end. “Digital Projection has been really phenomenal in their support of the projector and of the installation,” said Smith. “The Concierge Service has worked with us to give us control and take our feedback to work with engineering to make changes to the projector. We’ve had some changes and some firmware updates.” That service also helped get things like specs, airflow requirements, and other essentials to the team during the installation process. A high-end AV system deserves the best content, which is why Smith installed a Prima Cinema system. This $35,000 player can stream first-run movies that are still playing in theaters, ranging from $500 to $750 a pop, per viewing. This level of access to first-run content is usually reserved to cinemas. To ensure piracy is not a concern, to purchase a Prima Cinema requires an application process and background check. 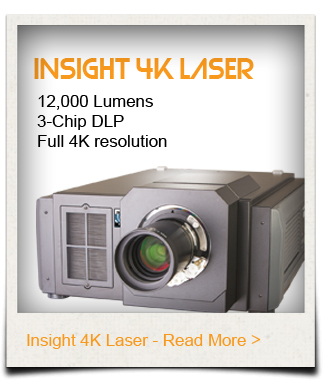 Included with the purchase of the Digital Projection INSIGHT 4K LASER projector was DPI’s Concierge Service. 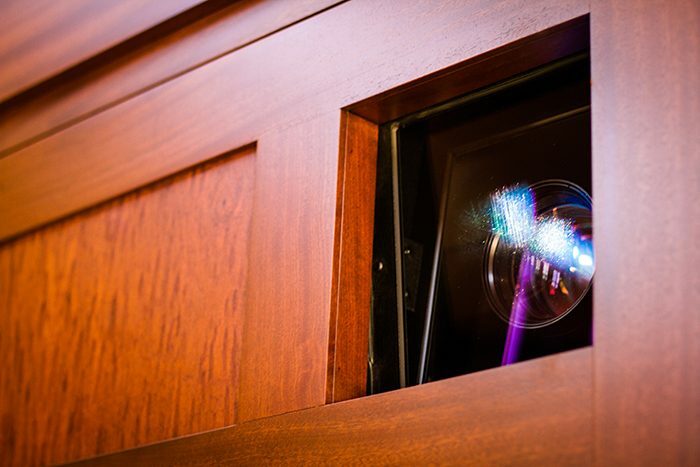 “It’s allowed us sort of a back door into Digital Projection,” said Brandon Smith of Brandon Smith Audio Design, an integrator based out of Scotts Valley, CA. “We have dedicated support staff there that we work with who understand the projector, and understand the installation. 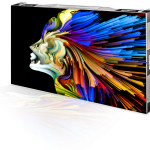 We also have the ability to communicate directly with engineering at Digital Projection. According to Smith, the service was particularly instrumental during the design phase of a recent $500,000-plus install in San Francisco’s Bay Area. The company provided information on specifications, airflow requirements, and more. That way, his company could plan out things like cabinetry and ventilation needs. 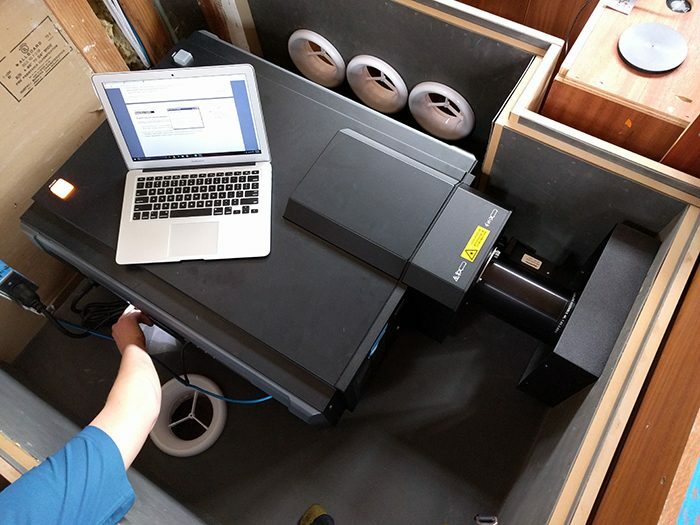 The company was also there at the end of the process, in order to calibrate the projector on-site. Every install has different needs, but Akridge provided an overview. “Fundamentally, when we get the order for the projector we have an initial call, we reach out to the project manager or project engineer both. We ask for as much information as they’re comfortable sharing—drawings, details about the installation, expectations—and we’re happy to sit down and have meetings face-to-face or conduct initial calls to review the engineering. We present information, we ask questions, and then we’ll arrange the site survey. We’ll either support them during the install, or at least be in very closely after that to do the system commissioning.” The service is available to DPI’s home cinema or commercial AV customers.